They may not all succeed, but a new class of merchants deserves an “A” for at least one notable accomplishment: They tore up the old retail guide books and rewrote what the industry should be. These feisty young startups emerged in the wake of thousands of store closures in 2018, taking advantage of operational oversights and outdated merchandising concepts. They put underused resources to work, broke down basic human needs into emotional concepts and eliminated many of the more tedious aspects of shopping. And the products they sell, for the most part, aren’t the least bit new. They, like emerging merchants before them, just fine-tuned what has been fine-tuned. Here’s to retail’s class of 2019. Allbirds shoes. This sneaker brand has been getting notice for classic yet contemporary-looking styles that eschew labels and glitz in favor of earth-friendly materials and practical designs. Rather than synthetics, these sneakers are made from bountiful wool — but that’s just the start. Other materials include recycled bottles, castor bean oil, tree fibers (Including eucalyptus pulp) and sugar cane. The price points are pretty sweet too, at $95 for most styles. Aurate jewelry. Jewelry buying can often be intimidating for the buyer, so most merchants focus on the event from the vantage point of problem-solving — sparkly things mean love, heart-shaped things mean commitment, etc. Aurate — which operates four stores as well as online — stands apart by treating all jewelry buyers as educated and responsible shoppers. It lets the designs speak for themselves, while it speaks to sustainability and resourcing. Aurate tracks all the diamonds it sells, for example, and its 14k gold is sourced from conflict-free suppliers. Away luggage. 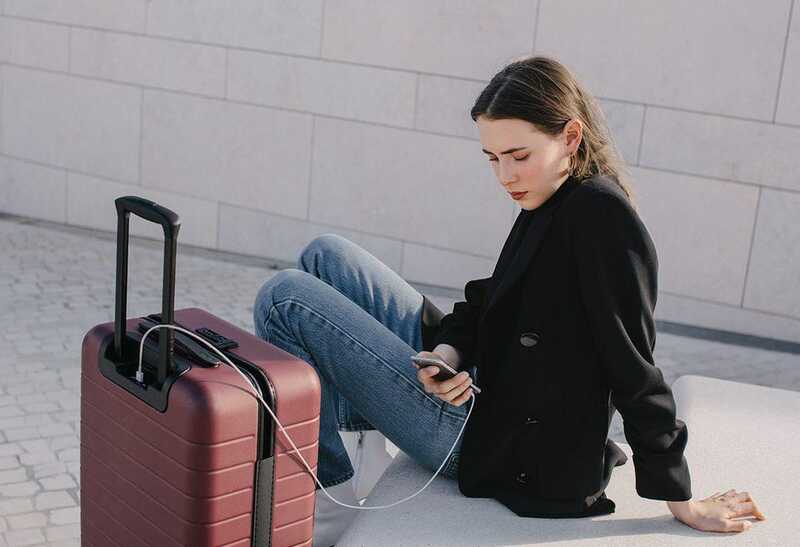 Away describes its luggage as “thoughtful,” but it’s also mindful of its commercial role. The pieces are lightweight, highly maneuverable and with optional built-in batteries that can be ejected before checking the bag for flight. That’s great for the traveler, but Away also wants to leave an imprint as it travels the world. So it has partnered with Peace Direct, a nonprofit organization building peace in areas of conflict around the world. Burrow couches. When you live in an apartment in the city, moving furniture up sharp-angled stairways can be so prohibitively arduous that some renters pass on major furniture pieces, such as couches. Casper mattress recognized this issue with its pop-up beds, and Burrow followed in 2017 with its ready-to-assemble couches. No tools are needed to put together these handsomely designed pieces, which come in varying sizes and arrive in easy-to-transport boxes. Batch lifestyle products. Batch is like a retail lab for up-and-coming designers of home décor and lifestyle items, with the result being an entire room in a box. Online, one can purchase a fully appointed room or even an apartment at a reduced-package price. A kitchen/dining area with table, chairs, tabletop items, cutlery and even cookbooks carries a package price of $4,000, while individually the items would sell for $5,423. At its San Francisco shop, Batch immerses the shopper in carefully appointed living spaces where every item, down to the shoes in the closets, is for sale. Glossier beauty products. Created by a group of beauty editors, the online-only Glossier sells cosmetics that are formulated in-house and designed for practical, “pared-down” use. The focus is on the product users, not on marketing, so the website, the messaging and the packaging is minimized (why pay for a box and throw-away applicator?). All of this helps keep costs low and accessible to Glossier shoppers. Helix mattresses. The boxed mattress concept so astutely recognized a consumer need that it is now a successful retail segment, which means the players need to stand apart from each other. Helix does so by customizing its mattresses based on the buyer’s sleeping style and preferences. It starts with an online “sleep quiz” that gauges the number of sleepers per bed, their sizes, how they sleep (back, side, toss-and-turn) and the degree of back pain with which they wake. Helix then suggests mattresses (at varying price points) to meet those needs. Ministry of Supply apparel. It’s not stretch pants, but Ministry of Supply is aiming for the stretch-pants feel with its dress clothing, engineered to move like we do, even in the office. The maker of men’s and women’s apparel aims for what it calls “performance professional” with clothing that duplicates the capabilities of workout apparel. Its scientifically designed pants, shirts and suits are wrinkle-free, breathable, unrestrictive and (in some cases) even heated. It’s the answer to yoga pants at work, with taste. Privé Revaux sunglasses. Celebrity-allure is a characteristic of sunglasses, but the founder of Privé Revaux wanted to make the correlation direct. He seeks the input of influential celebrities and David Schottenstein, Dave Osokow, Jamie Foxx, Ashley Benson, and Hailee Steinfeld are all co-founders. Yet the glasses, of which there are more than 100 styles, can be purchased by pretty much everyone, at a flat price of $29.95 a pair. Yumble meal kits for kids. The meal kit industry struggled in 2018 as it tried to find a big enough market of consumers willing to spend a little more money for pre-prepped food they’d still have to cook themselves. 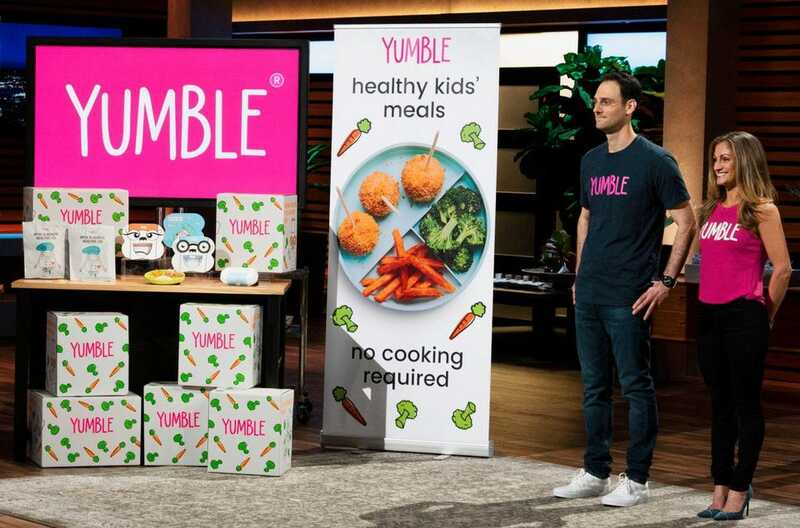 Yumble differs in that it identified a very specific, and painfully relevant, need: feeding fussy kids ages 1 to 12. The best part for busy parents: Meals, such as chicken pops (think healthy nuggets) and Holy Moly Ravioli (served plain), arrive fully cooked. These startups prove that in retail, raising one’s hand for attention is not enough — you’ve got to stand on the desk and shout out your answers. It’ll get noisy, and some may not be standing as tall by the end of 2019, but each brand in this class of merchants is worth recognizing and even shopping.